Now that I have my phone in bed at night (because it has revolutionized night-nursing and because the "Baby ESP" app has revolutionized parenting) I get to capture some of these overnight co-sleeping moments on "film" (well technically on my memory card but you know what I mean). And now that Roly is here, it's fun to surprise Josie in the morning by sticking a sleeping baby next to her in bed. This morning was priceless! She reached over, eyes closed to cuddle up with the closest warm body which she assumed would be me. She wrapped herself all around Beatrice (I had the camera down at this point to prevent any three yr-old elbows from coming in contact with three week-old cheeks) and it took her a minute to realize who she was cuddling. She popped her eyes open and let out this big surprised "WHOA!" then closed her eyes again and cuddled up saying "Awww...Roly" and went right back to sleep. Here's the actual overnight set-up. 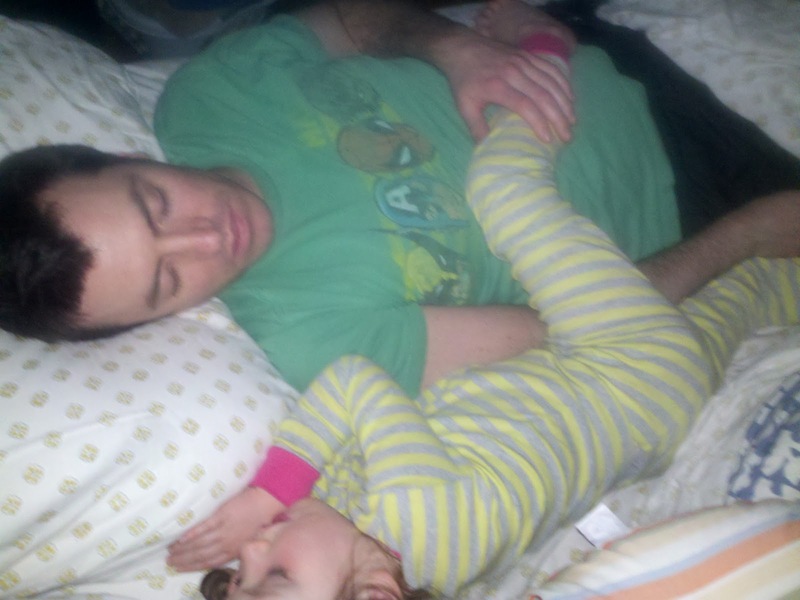 Bea is in the co-sleeper (which is the best invention known to parenting if you ask us) and Lou and I share what's leftover once Josie is comfortable. As I said, we wouldn't trade all the overnight cuddles & kisses (and yes kicks) for anything in the world! However, I would GLADLY in fact GLEEFULLY trade in the queen-sized bed for a king (hint, hint Louie). Life is good for your Four Schneiders. 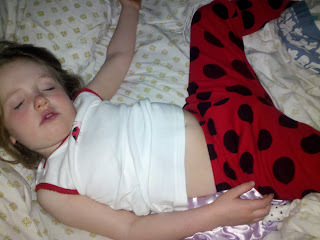 In fact, I would share with the world that a certain shiny new baby sleeps like a dream but that would be unwise. A certain mama declared the same thing about a certain big sister and it totally jinxed her. 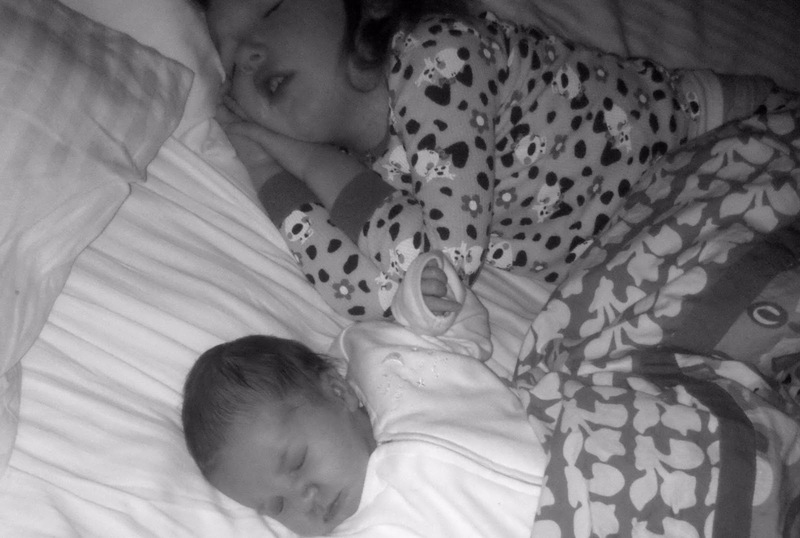 So, mum is the word on the topic of Bea's sleep habits. I will leave it at this (and likely expand on this in a later post when we're out of the jinxing woods), I owe an apology to all of you parents who swore your babies ever exhibited any of the following behaviors: getting themselves back to sleep without crying, falling asleep without nursing, sleeping more than two hours at a time, putting themselves on their own routine/schedule. I have to apologize because I thought you were all either a) lying through your teeth or b) somehow training (dare I say torturing?) your child into learning these behaviors. And I have to thank the two mamas who spoke the truth to me when they had their second children and apologized to me for assuming I was doing something wrong because Josie wasn't a "good sleeper." 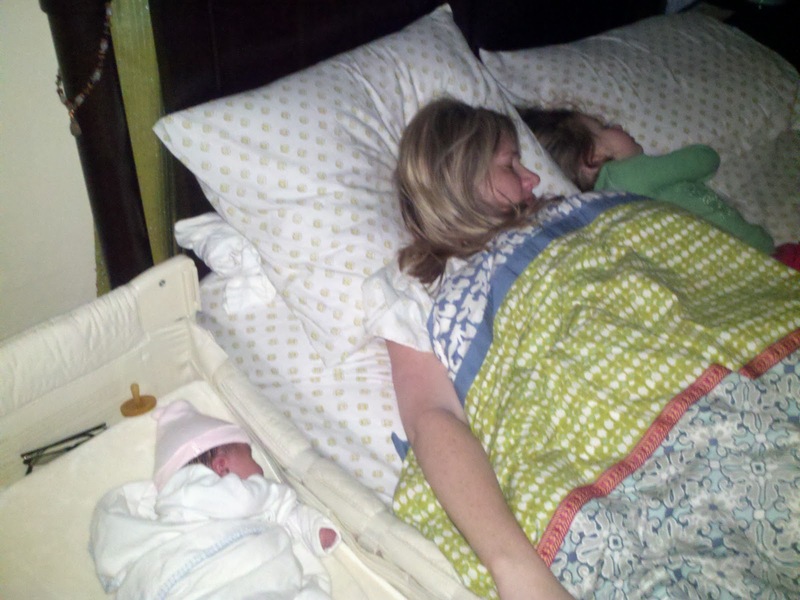 These two moms were sweet enough to admit that they really thought they had done something right until they got second children who did not sleep well. Three cheers for a tight circle of mama-friends!